Barangay Governance is an effective jumping board to leverage our initiatives to a greater whole. If we want to spur development, it is most crucial if we prioritize our barangays. Notwithstanding its readiness amidst natural and man-made disasters. This was the gist of the Liga Provincial Congress of Laguna held in Tagbilaran City. Led by Laguna Vice-Governor Karen Agapay and Laguna DILG Provincial Director Engr. John Cerez, the occasion saw the convening together of all the barangay officials in Laguna pursuing a common cause. 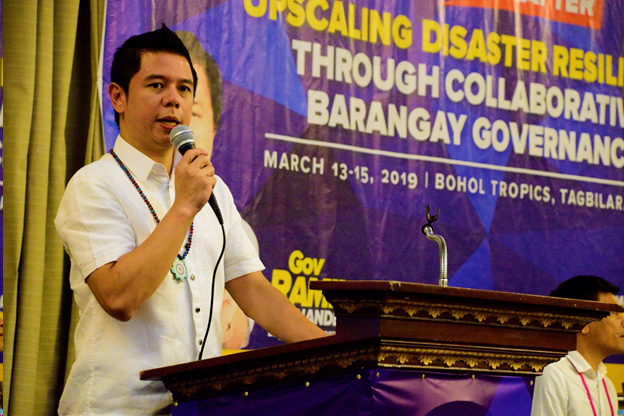 City Mayor John Geesnell “BABA” Yap also reiterated the importance of resiliency and cited Tagbilaran City’s strategic measures in disaster preparedness.